You need lumber and tools to build a house, but you need to fill it with warmth and love to make it a home. We at John’s Lumber can help with the materials, but we hope that your friends and family bring the rest this holiday. We are grateful to be able to serve households in Southeast Michigan. We want to thank our staff, who provide exceptional service to our customers all year round. We hope that our customers, employees, and the rest of the community enjoy a happy and healthy Thanksgiving with good food and good company! 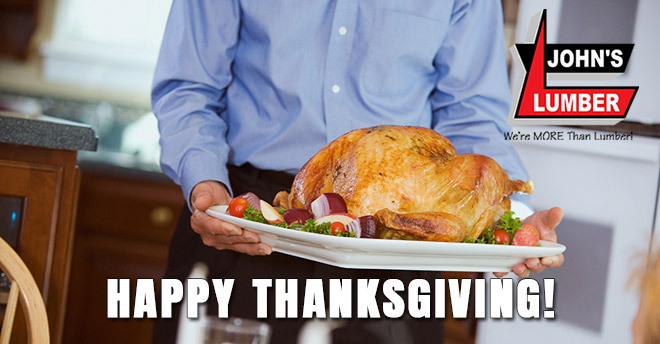 Happy Thanksgiving from John’s Lumber! 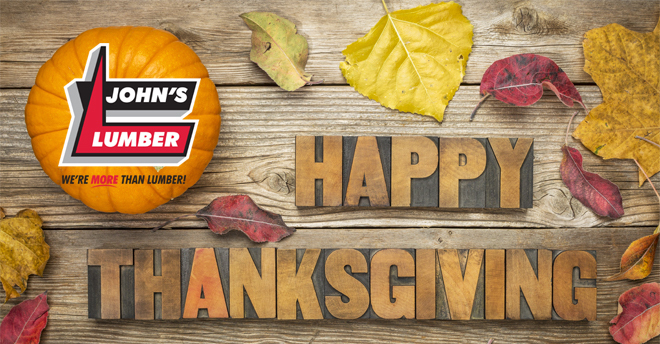 John’s Lumber wishes our customers, staff, and partners a very Happy Thanksgiving! This time of year, is for spending time with family, creating warm memories, and giving thanks to the people we love. We want to draw your attention to the Charity Drive for Turning Point, Macomb County. From November 20th to December 1st, donation bins will be available at both of our store locations to support victims of domestic violence and sexual assault. 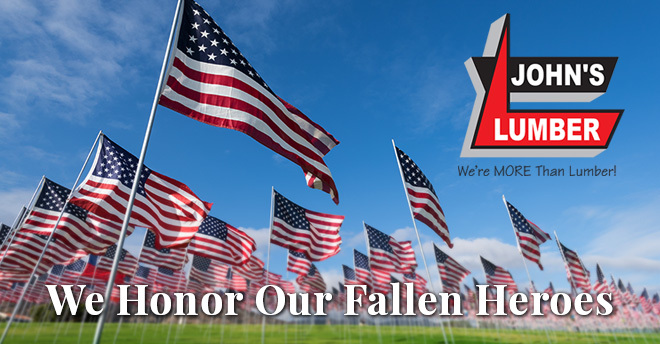 Information on the organization and items needed can be found here. This charitable initiative means a lot to our team and makes an immediate impact right here in Macomb County, Michigan.